A little bit of faith and patience does make a difference in your life. 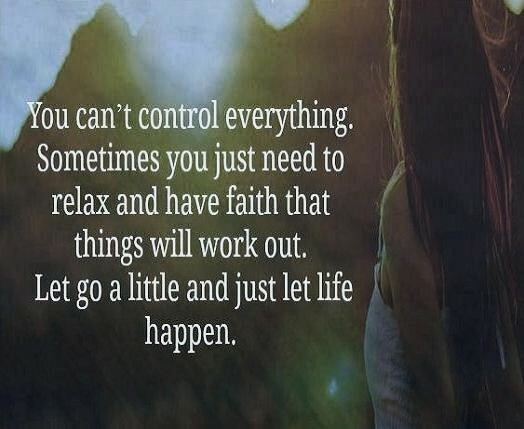 Quote | This entry was posted in Informational, Inspirational, My Thoughts, Quotes and tagged control, everything, have faith, let go, let life happen, need, sometimes, to relax, work out, you can't. Bookmark the permalink.